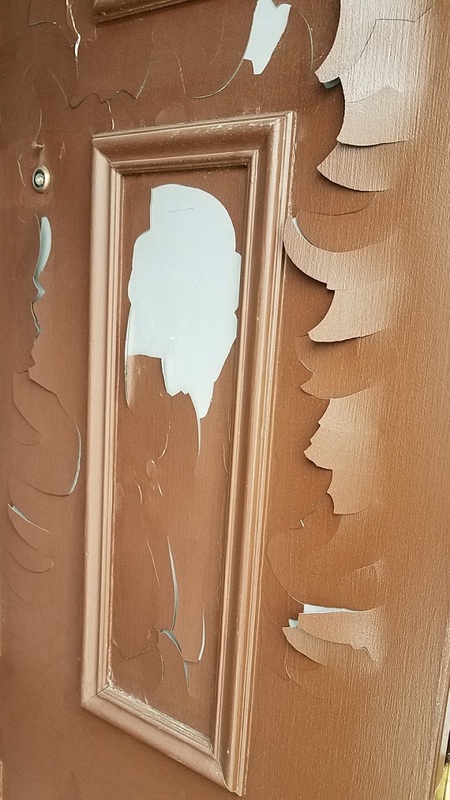 When I asked the homeowner what happened they essentially said that it happened right after the temps hit the -20° mark, it was pristine till then… I got to say it looks like it was maintained (UV coating appeared good) & while they were right that the temps played a factor that wasn’t the root cause as this was a pretty rare case… Any guesses / want a hint? Hmm how could the storm door play a factor? Well we covered that in FAQ – Do I need storm doors or windows? 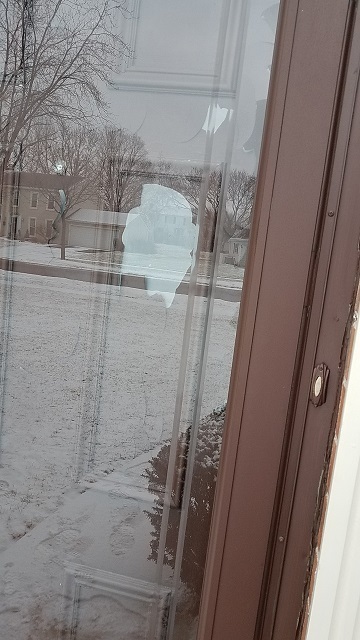 But in short it wasn’t because they had the full glass panel up during the winter weather… Rather the problem started during the summer months where moisture was forced into the cracks around the decorative trim / nail hole thus allowing for it to freeze behind the fiberglass coating.